If you want to continue being fertile, you need antioxidants. Scientists continue to discover new ways by which reactive oxygen species and free radicals cause oxidative stress that impair male fertility. And the only way to combat oxidative stress is through antioxidants. You’ve probably already read somewhere that vitamins C and E are good for your fertility. That’s because these two vitamins help protect your reproductive system from the ravages of oxidative stress. But they’re not the only antioxidants that can help you maintain your fertility. Here are 9 strong antioxidants that also enhance your fertility. Superoxide dismutases (SODs) help protect your testicular cells from apoptosis or programmed cell death caused by heat stress. Your testicular cells are very sensitive to heat. That’s why they’re in your scrotum where it’s nice and cool. But if your scrotal temperature increases by a degree or two, it will cause heat stress to your testicular cells. Heat stress can induce the death of your testicular cells. This will then affect your sperm production as well as your testosterone production since your testicles are responsible for both of these processes. Infertile men often have low SOD activity whereas fertile men have higher levels of SOD activity which is strongly associated with increased sperm motility and morphology. You can find SOD in certain over-the-counter antioxidant supplements that are touted to promote male fertility. Glutathione peroxidase or GPX is crucial for your sperm health. That’s because this antioxidant helps protect the DNA of your sperm from oxidative damage. In fact, deficient levels of GPX activity is common among men with oligoasthenoteratozoospermia (OAT). OAT is considered the number one cause of male infertility. When you have OAT, it means you have a very low sperm count, you have low sperm motility, and you have a high percentage of spermatozoa that are abnormally shaped. As an antioxidant, the prevention of lipid peroxidation of the cellular membrane is one of the main functions of glutathione.Animal studies have shown that glutathione therapy can help increase sperm quality. When tested on animals with low sperm motility due to varicoceles and cryptorchidism, sperm motility was increased after glutathione therapy. In human seminal plasma, low levels of glutathione can cause the midpiece of the spermatozoa to become unstable which results in poor motility. In men who are infertile due to urogenital tract inflammation or varicocele, glutathione supplementation can lead to increased sperm motility, improved sperm morphology, and increased sperm concentration. Carotenoids are fat-soluble compounds that precursors of vitamin A. These natural antioxidants play important roles in the regulation of spermatogenesis. They also help protect cell membrane integrity as well as help regulate the proliferation of epithelial cells. If you have a carotenoid deficiency, it can lead to a low sperm motility. Vitamin C is one of the most important antioxidants that protect sperm health. In fact, men who are fertile often have very high levels of vitamin C in their seminal plasma. Vitamin C levels are positively related to high percentages of normally shaped spermatozoa. It’s also negatively related to DNA fragmentation. This means that when you have high levels of vitamin C in your seminal plasma, you’ll have lesser sperm with fragmented or damaged DNA. In fact, experts recommend that you take vitamin C at a dosage of 1 gram per day to improve your sperm count and concentration as well as improve your sperm motility. As an antioxidant that protects your sperm health, Vitamin E performs various functions such as preventing oxidative stress damage to your sperm cell membrane, scavenging free hydroxyl radicals, and preventing lipid peroxidation. Supplementation with vitamin E can help improve your sperm function and increase your sperm motility. Increasing your dietary intake of foods that are rich in vitamin E can also lead to higher chances of fertilization resulting in pregnancy. 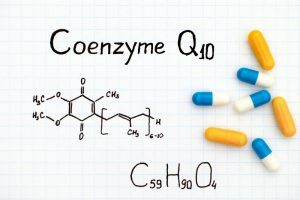 Coenzyme Q10 or CoQ10 provides you with protection against lipid peroxidation, protein oxidation, and DNA oxidation. 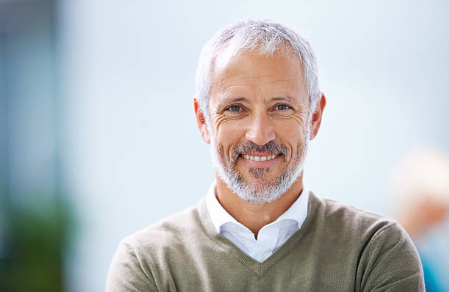 CoQ10 supplementation can help improve your sperm concentration, sperm morphology, as well as your sperm motility, especially if you have OAT. CoQ10 has also been shown to improve the antioxidant status and the sperm parameters of men with varicocele. Higher concentrations of CoQ10 in the sperm are also associated with higher sperm counts, improved sperm motility, and better sperm morphology. You can find high concentrations of carnitine in your reproductive tract, especially in your epididymis where your mature spermatozoa are stored. That’s because carnitine is needed to maintain the health of your sperm. Men with OAT can benefit a lot from taking carnitine supplements as it can lead to improved sperm progressive motility. It’s also been shown that when L-carnitine is added to sperm samples for cryopreservation, the sperm quality greatly improved. Lycopene is another antioxidant that has been shown to be therapeutic for infertile men. Taking lycopene supplements can greatly improve your sperm concentration and increase your sperm motility. Lycopene can help reduce lipid peroxidation and sperm DNA damage while increasing sperm count and viability. There have also been studies wherein men who took lycopene supplements at 4 to 8 milligrams per day for three months to a year showed improved pregnancy rates. Impaired sexual function often accompanies fertility issues in men. Among men visiting fertility clinics, low libido and erectile dysfunction are common complaints. This is especially true for men who have low sperm production due to abnormally low testosterone levels. 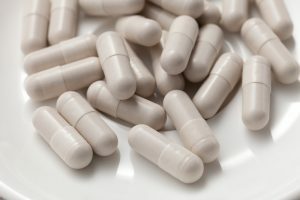 When the problem involves both your fertility and sexual prowess, you should try an all-natural male enhancement supplement. It’s a safe supplement that can help boost both your sexual health and fertility. It contains natural herbal ingredients such as maca, tongkat ali, and Tribulus terrestris, which are proven to help improve sperm count and motility. In addition, it also has powerful aphrodisiacs that can definitely help revive your waning libido. With damiana, horny goat weed, muira puama, and Butea superba included in its formula, your libido will surely increase when you take this supplement. It is best known for its effectiveness in boosting erections and treating erectile dysfunction. But it’s also a great testosterone booster and sexual stamina enhancer.